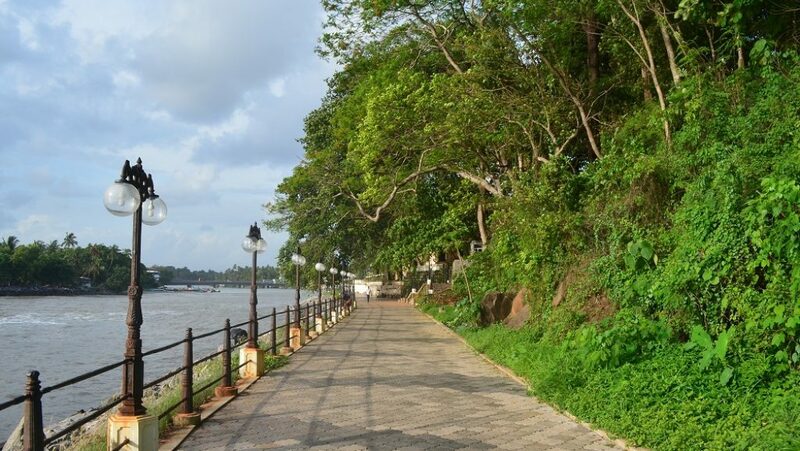 The walkway on the banks of River Mahe is one of a kind facility where aesthetics and purpose integrate together and extends one’s mind and soul huge satisfaction. 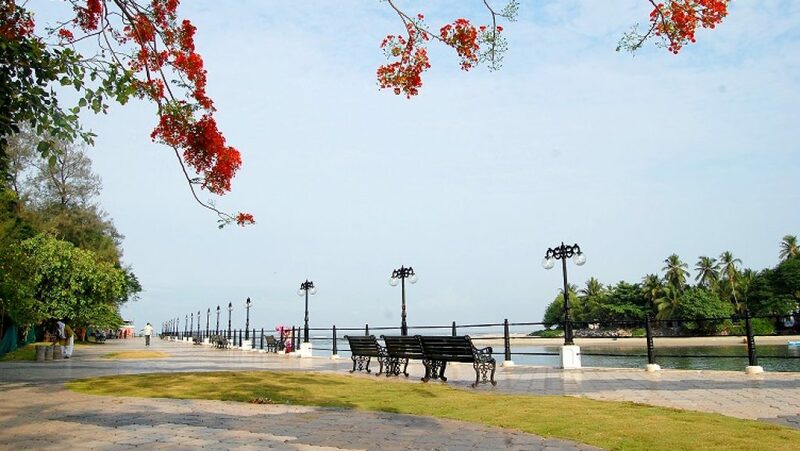 The walkway resembles a diamond necklace around the landscape of the Mahe town. 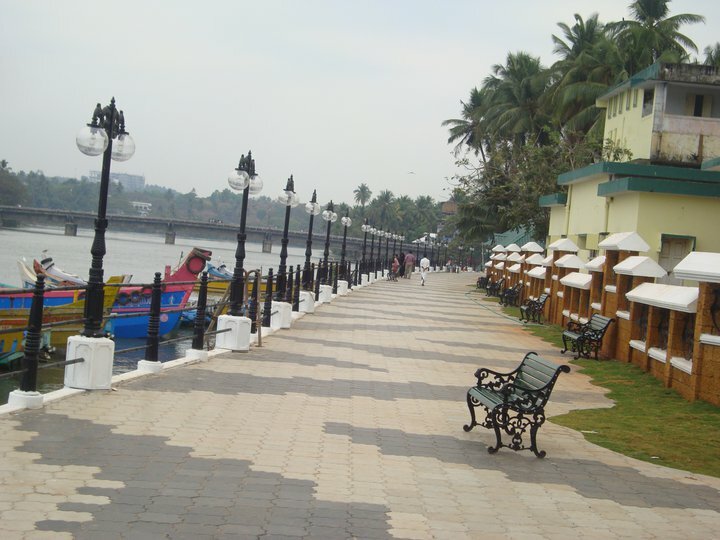 The Walkway is well lit and furnished with enough park benches to relax and enjoy the beauty of Mahe River. At one end of the Walkway near the Govt. House, there is the visual portrayal of the famous Novel of the noted writer “the story teller of Mahe” Sri.M.Mukundan’s “Mayyazhi Puzhayude Theeragalil”, where the characters come alive in emphatic representations. The nearest railway station is Mahe . 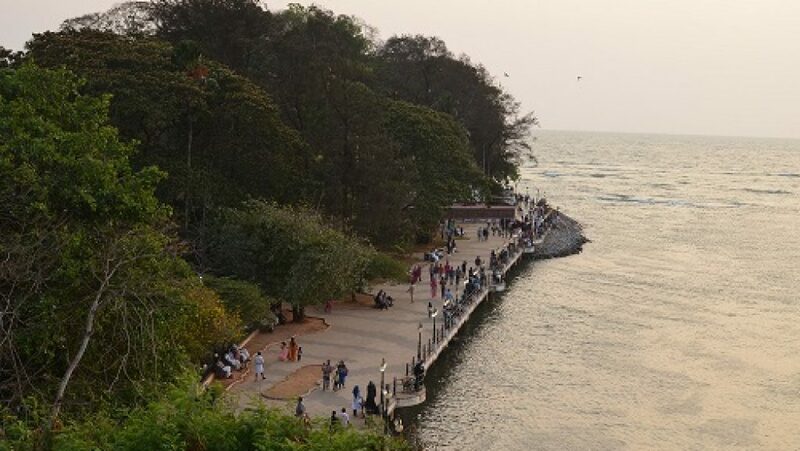 Most of the trains from Mangalore ,Puducherry and Thiruvananthapuram had stop here .